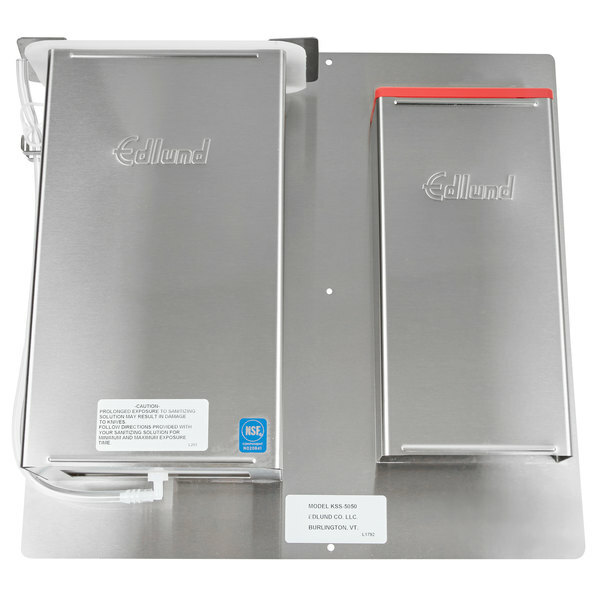 Edlund Company is proud to offer the industry the first and only complete method of liquid sanitizing, air drying, and a storage facility for the knives in your food service kitchen. The KSS-5050 consists of a submersion tank filled with quaternary sanitizing solution and a KR50R knife storage rack. Simply take your knife after washing and rinsing, dip it into the solution, and immediately transfer it to the storage rack. 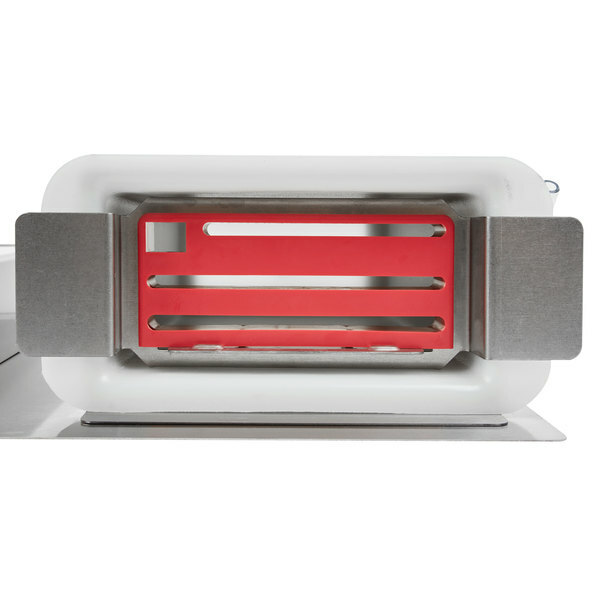 It only takes 60 seconds of contact time, including the drying time, for the knife to be sanitized completely. 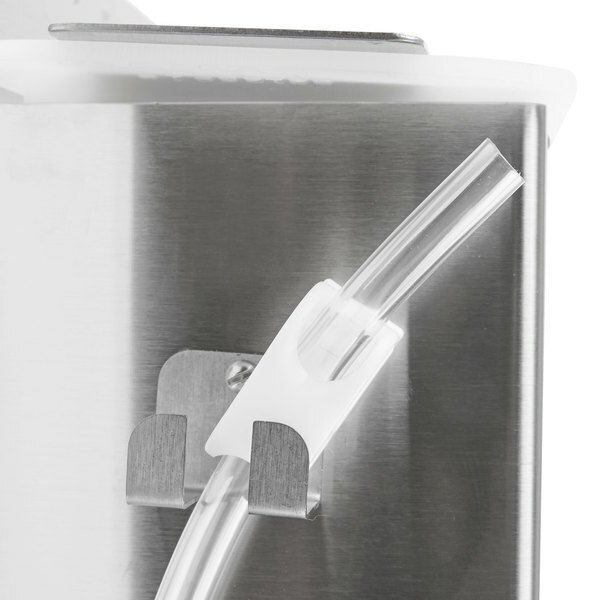 When the sanitizing solution is spent, simply grasp the drainage tube on the side and lift it out to allow you to disperse spent liquid quickly and easily without having to lift the tank out of the unit. The tank removes easily and you can remove the set plate and the insert on both the liquid tank sanitizer and on the storage rack for easy cleaning and maintenance. Its NSF certified, and our complete sanitizing system is another great way to help prevent cross-contamination in your kitchen. 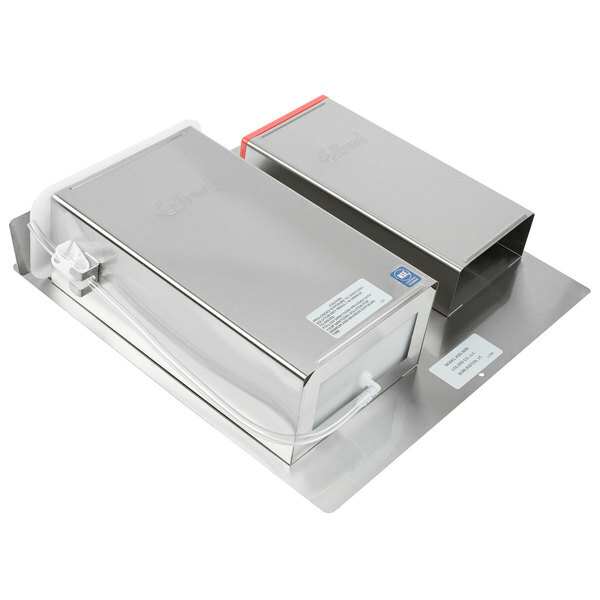 Learn how the Edlund KSS-5050 knife sanitaizing system will increase sanitation in your kitchen by allowing you to sanitize your knives in as little as 60 seconds! This sanitizing system is easy to clean as well. 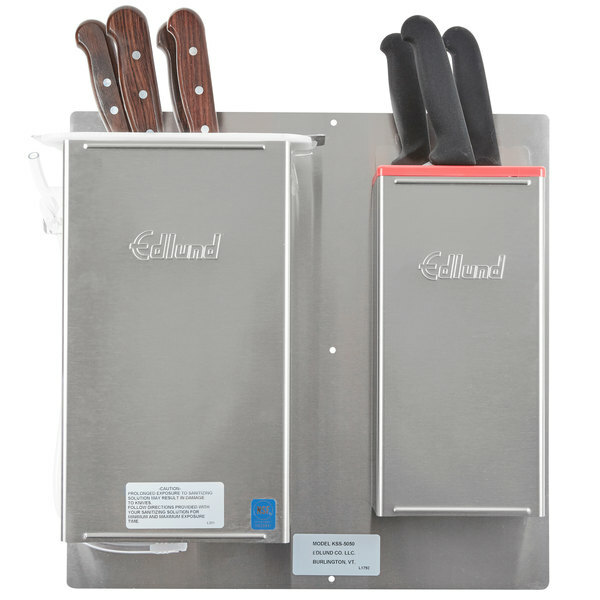 The Edlund KSS-5050 DT knife sanitizing system with drain tube provides a complete, easy-to-use system of liquid sanitizing, air drying, and storage of knives! Simply wash your knives as usual, fill the KSS-5050 sanitizing rack with the sanitizing solution of your choice, and place the knives in that solution! Once the knives have been submerged for the correct amount of time according to your sanitizer's instructions (do not leave your knives submerged indefinitely), remove them and place them in the KR-50R knife rack to air dry! 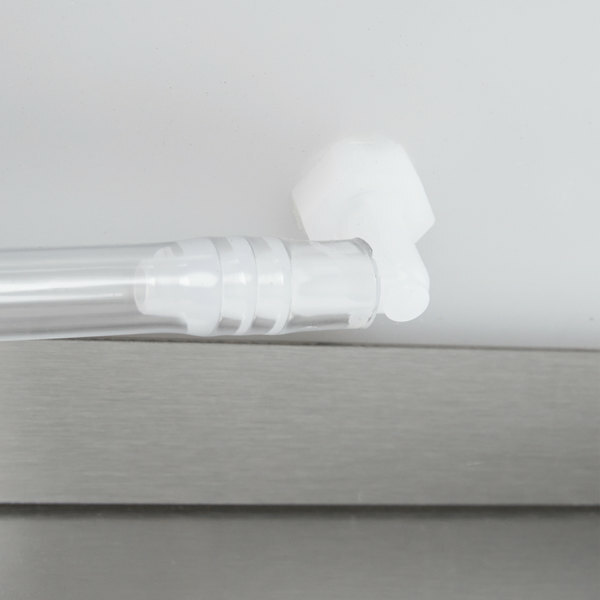 A drainage tube on the sanitizing rack makes cleanup and refilling a breeze. 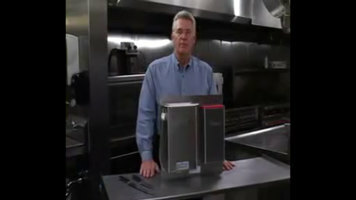 Both the sanitizing rack and the knife rack are easy to remove, disassemble, and clean. Plus, the entire system features a stainless steel splash plate that provides a secure method for mounting it to a wall stud. These hold a large capacity of knives, and this is a very effective and sanitary holding and sanitizing station. It's minimalist in design but really delivers on what it's intended to do. Mount it to the wall near a production sink. Highly recommended. All I can say for this system is Wow! This is truly a remarkable system that keeps our stores in line with health code regulations. Well worth the price!